​ ​Lady Caroline Alton is young, beautiful and in London for her first season. She is excited about her first foray into society, but family secrets seemed to be piling up around Caroline more and more each day. One day soon, she thought she might discover the great secret in her own life, except that when she did, she had a feeling that it just might change everything. 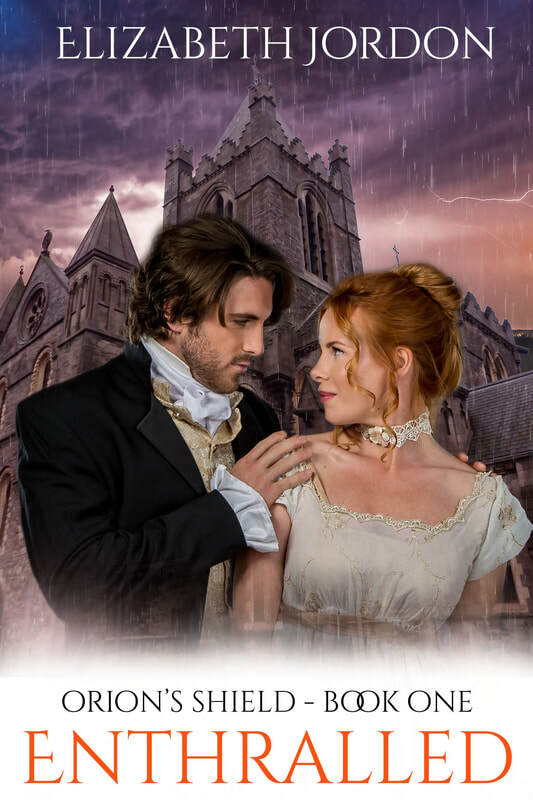 When she meets Lord Thomas Steele at her home in London, she is immediately intrigued by the handsome, dashing young barrister, who is a friend of her father. Each time she sees him, she becomes more and more aware that he, too, is deeply involved in the secrets that surround her, and she sets out to prove to him that she has the courage to face whatever it is , and to stand beside him as he faces the evil that threatens him. Thomas, the youngest son of a Marquis, has been fighting an uphill battle against vampires most of his life. London is under attack and Thomas is the captain of the guard of Orion’s Shield, a clandestine group of vampire hunters sanctioned by the Prince Regent himself. Having been attacked and bitten by a beautiful and seductive vampire at a young age, Thomas struggles against the forces of darkness that have never stopped trying to consume him. An ancient and powerful evil has come to England, and a physical battle, as well as a spiritual one must be waged against it. If the battle is lost, it will leave Regency England vulnerable to hell on earth. And yet in the middle of the fray, two souls try to find their way both to the light and to each other before the darkness destroys whatever happiness they may find.… Can love truly conquer all, or will evil consume them both? Enthralled is a debut novel by Elizabeth Jordan, and will be available soon on Kindle Unlimited.